The National Air and Space Museum will host “Space Oddity: Ground Control to Major Party," an exclusive event commemorating Yuri Gagarin, the first person to journey into outer space, Friday. Before you are holed up in Gelman Library studying for finals, get out and enjoy your last few weekends in the District. From an exclusive party at a Smithsonian museum to a bottomless mimosa brunch, there are plenty of ways to spend your study break this weekend. 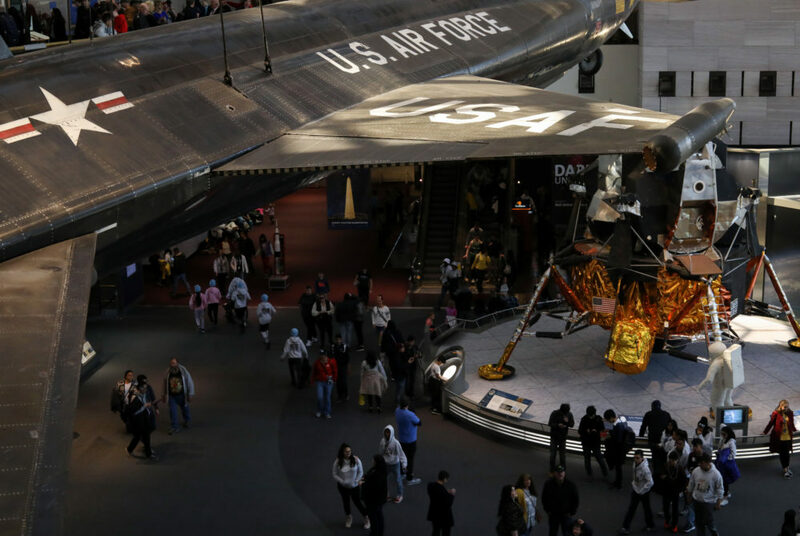 Head to the National Air and Space Museum for a night of space-themed events. The “Space Oddity: Ground Control to Major Party” is an exclusive event commemorating Yuri Gagarin, the first person to journey into outer space. The party, which lasts from 8:30 p.m. to midnight, will feature a DJ set by musical artist Autograf, a Planetarium laser light show and a live taping of the museum’s “AirSpace” podcast. You can also get your hair braided into space buns or grab a bite of astronaut ice cream. National Air and Space Museum, 600 Independence Ave. SW. 8:30 p.m. to midnight. Tickets are $65. 21+. On Saturday night, you can swap your comfortable library clothes for a suit or gown at a masquerade ball at the Embassy of France. Your ticket will include a buffet of French treats like macarons, vanilla choux and bavarois cheesecake, as well as an open bar featuring French wine and beer. The dress code is black tie and cocktail attire, but make sure you’re comfortable enough to dance to a medley of French music. The Embassy of France, 4101 Reservoir Road NW. 8 to 11:59 p.m. Tickets start at $99. 21+. Enjoy the warm weather with an outdoor brunch at Ris to celebrate the opening of its patio. Ris will host a bottomless popsicle mimosa brunch from 10 a.m. to 3 p.m. In addition to the mimosas, you can eat a three-course meal for $29. Dishes for the main course range from a vegetable scramble with spinach, mushrooms and feta to a Belgian oat and wheat berry waffle topped with whipped butter and maple syrup. Ris, 2275 L St. NW. 10 a.m. to 3 p.m. Brunch starting at $29. 21+.